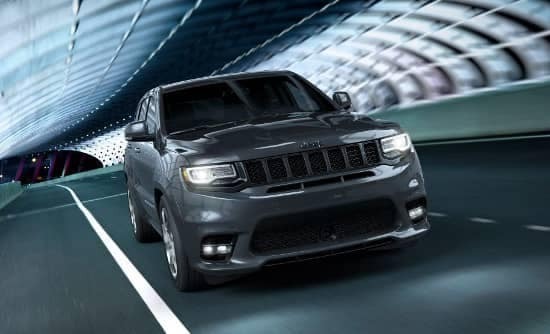 The performance of the 2018 Jeep Grand Cherokee combines raw power and precision control to create an SUV that can move seamlessly between the streets and the trails near Lubbock. Learn more about why the Grand Cherokee lives up to the Jeep reputation today at Stanley Chrysler Dodge Jeep Ram Brownfield. 3.0L V6 EcoDiesel: Creates up to 240 hp and 420 lb-ft of torque. 5.7L HEMI V8: Produces up to 360 hp and 390 lb-ft of torque. 6.4L HEMI SRT V8: Churns out up to 475 hp and 470 lb-ft of torque. 6.2L Supercharged HEMI SRT V8: Delivers up to 707 hp and 645 lb-ft of torque. The Trail Rated® Badge couldn’t be earned without the features Jeep packs into the Grand Cherokee. Bilstein Adaptive Suspension System: Keep the ride smooth even when you’re pushing the vehicle to its fullest potential. Launch Control: Coordinates engine, transmission, driveline, and suspension for outstanding acceleration. Selec-Track System: Cycle between Auto, Sport, Track, Snow, and Tow drive modes, plus a custom setting designed for personalized performance. Maximum Towing: Haul what you need with a max towing of 7,200 pounds. 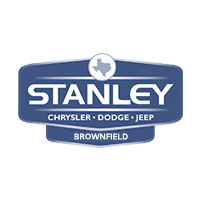 Navigate your life better in Brownfield with a Jeep Grand Cherokee available at Stanley Chrysler Dodge Jeep Ram Brownfield. You can apply for financing online to get the process started, or visit our dealership near Hobbs NM for a test drive today. What Can You Expect from the 2018 Jeep Grand Cherokee Interior?